Enjoy spring flowers with a Japanese twist! The Washington D.C. Chapter of Ikebana International will exhibit flower arrangements representing a variety of ikebana schools and styles. There will be a change-out of the exhibits on April 16 and 19, so plan return visits to see everything. Master teachers will give free ikebana demonstrations in the Bonsai Museum Lecture/Demonstration Center on April 13, 14, 20, and 21. Exhibit and demos are free and open to the public. Join certified nature and forest therapy guide and acclaimed author, Melanie Choukas-Bradley, for a very special guided exercise in meditation, rejuvenation and contemplation among the nation’s premier bonsai collection. In the 2-hour program, Melanie will guide participants through the visual, auditory, and interactive experience of Shinrin-yoku, or “forest bathing,” a practice popularized in Japan and known for its transformative and therapeutic experiences like a boosted immune system, reduced blood pressure, improved sleep patterns and more. This class is being offered on April 18th, May 2nd and October 3rd. You can register for either or all by clicking the button below. Read an interview we did with Melanie on our blog to learn more about this special experience. Co-sponsored by the Potomac Bonsai Association (PBA) and the U.S. National Arboretum, this event features a show of PBA member trees and vendors selling bonsai, pre-bonsai, pots, accents and supplies. A juried exhibit of PBA bonsai will be on view in the museum. Free demonstrations will be given by PBA members. There will also be fee-based workshops. 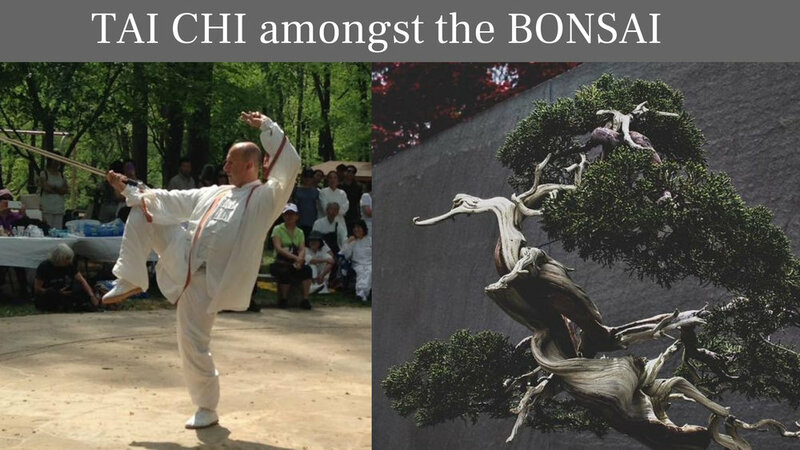 The National Bonsai Foundation and DC Tai Chi are partnering to bring a unique and unitive experience. Join us for a one-hour Tai Chi class taught by internationally recognized Master Nick Gracenin surrounded by the beauty, serenity and history of the National Bonsai & Penjing Museum's world-famous collection of small trees. Master Nick will introduce the essentials of traditional Tai Chi and Qigong. Class is suitable for all levels. Class will be offered on April 7th, May 5th, and June 2nd. Click button below to register for any/all. 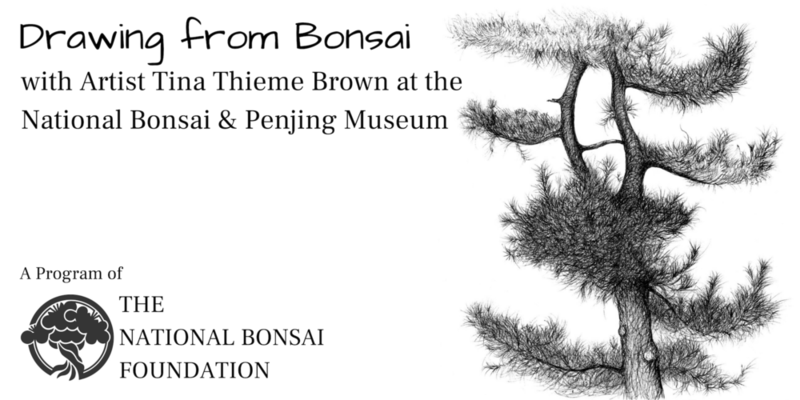 The National Bonsai Foundation invites you to calm your mind with yoga amongst the nation's most beloved bonsai collection located at The National Bonsai & Penjing Museum (in the U.S. Arboretum). Unwind with an all-level yoga class with certified instructor and artist Alexa Tovsen. In Alexa's class, you will explore various practices including movement, postures, breathing exercises, meditation and exploration of yoga philosophy. You will strengthen your awareness and challenge yourself to find the right balance of ease and effort for yourself. Modifications and alternate poses are offered to accommodate all students. After the class, take some time to appreciate and learn about the bonsai and penjing on display in the Museum. The yoga class will last one hour. The Museum is located inside the U.S. National Arboretum. Please bring your own mat. This event is being offered on April 20th, May 25th, and June 22nd. You can register for any/all of those dates at the button below. Back to all Events & Exhibits. In Japan, it is said that the beauty of an azalea bonsai in bloom is like the beauty of a courtesan dressed in her finest brocade kimono. Breathtaking blossoms cover these late-blooming Satsuki azaleas, miniature in form, but covered with full-sized flowers. This annual spring exhibit showcases the most spectacular examples. Slow down, awaken your senses, and come home to your body, breath, heart, and the natural world around you through heart centered mindfulness meditation practices. This class, co-sponsored by the National Bonsai Foundation and Insight Meditation Community of Washington (IMCW), will include guided sitting, standing, and walking meditations, mindful sharing and exploration among the nation’s premier bonsai collection of The National Bonsai & Penjing Museum at the U.S. National Arboretum. Newcomers to meditation and longtime practitioners are welcome. This venue is accessible for those with mobility impairments. Linda Naini is an Insight Meditation Community of Washington Mindfulness Meditation Teacher. She has practiced mindfulness meditation since 2009, and began teaching in 2013. She loves creating and offering fun, effective, and focused programs for individuals and groups that combine research-proven techniques with ancient traditions from around the world. 9-10:30: Mindfulness meditation teachings and practices for the Spring Season with Linda Naini. 10:30-11:00: Private tour of the collection with Erin Holden, Museum Gardener. This class is being offered April 14th and June 9th. Click button below to register for either. Sogetsu ikebana style is deeply rooted in Japanese tradition, yet embraces the modern age. Sogetsu promotes an ikebana, or Japanese flower arranging, of no limits in which designers use plant materials of any type to create sculptural compositions. This exhibit presents objects originally collected and appreciated by the scholar class—the literati—of China and Japan. They include desk objects, tea utensils, root art, suiseki, and scholar’s rocks from the personal collections of members of the Potomac Viewing Stone Group. Join National Bonsai & Penjing Museum for an introductory level class on Bonsai basics with Tropical Trees. If you're looking to get started in this ancient art form or learn new skills from a master, this class is perfect for you. All classes will run from 10am until 3pm and will include a lecture and tour before lunch with hands-on repotting and wiring demonstrations after lunch. Tools, trees and equipment will be provided. Participants should bring their own lunches to enjoy amongst the world's first an finest collection of bonsai. Led by Museum staff and volunteers. Tickets will go on sale soon. If you’d like to be told when tickets will be available, please fill out the short form below. Class space is limited and priority will be given to those who fill out this form below. Thanks! Join certified nature and forest therapy guide and acclaimed author, Melanie Choukas-Bradley, for a very special guided exercise in meditation, rejuvenation and contemplation among the nation’s premier bonsai collection. In the 2-hour program, Melanie will guide participants through the visual, auditory, and interactive experience of Shinrin-yoku, or “forest bathing,” a practice popularized in Japan and known for its transformative and therapeutic experiences like a boosted immune system, reduced blood pressure, improved sleep patterns and more improved sleep patterns and more. Back to list of all Events & Exhibits. Children’s Workshop: Will It Be a Bonsai or a Big Tree? Every tree seedling has its fate, and in this workshop, you can learn how that fate is determined. One adult and one child will have a special day together as they work as lab partners, using their “scientist eyes” to observe details and make comparisons. We’ll learn about plant physiology, ecosystems and bonsai history, too. At the close of class, each research team will receive a seedling whose fate they will decide. Will your tree go through the rigorous training to become a bonsai or will you plant it outdoors in spring to grow up wild, big and free? Be sure to bring warm coats since we will be in an open exhibit area for part of the workshop. This activity is not recommended for participants under the age of 8, and is geared to children in the third and fourth grades. Due to limited classroom space, strollers can’t be accommodated. Led by Michael James, Curator, National Bonsai & Penjing Museum. NO DATE HAS BEEN ANNOUNCED YET (despite listing). Please fill out this form if you’d like to stay updated when a date is announced. World-renowned photographer Stephen Voss will lead a series of photography classes through the seasons. 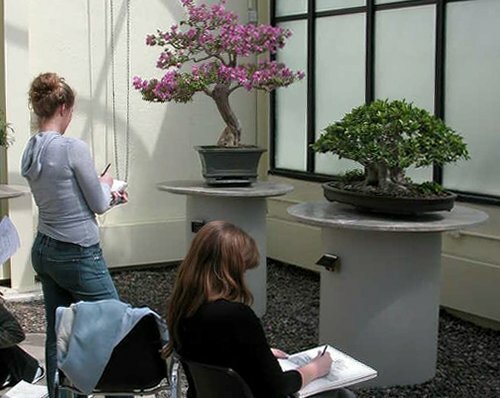 The two-hour class will guide students to look deeply at the bonsai trees in the National Bonsai & Penjing Museum, and create their own portfolio of images that express what they see. Through targeted visual exercises and individual instruction, each participant will learn to reappraise the trees, and in turn, sharpen their visual acuity to make better photographs in any situation. By the end of the class, each student will come away with a unique set of images and some new skills to use the next time they pick up a camera. Students may register for full series or individual classes. Curriculum is not serial. This annual show is one of the most popular seasonal exhibits of the year. No need to go all the way to Skyline Drive in Virginia to enjoy beautiful fall colors. See red maples, yellow ginkgos and fruited trees in the Museum’s permanent bonsai collection pavilions. The Special Exhibits Wing features select trees during their peak colors. Be inspired by the beauty of the world's first and finest bonsai collection at the National Bonsai & Penjing Museum located at the National Arboretum. Capture the tiny trees' intricacies, history, and serenity on paper with the help of one of our area's treasured botanical artists and instructors, Tina Thieme Brown. Tina specializes in capturing the flora and fauna of the Greater D.C. Area and has published two books of illustrations. This workshop offers a unique opportunity to get “up close and personal” with some of the most historic bonsai in the world, and to take a small part of them home with you. Artists of any skill level are welcome to participate in this class. This exhibit presents stones in thematic groupings to evoke the change of seasons from early fall to late winter—complementing our fall and winter bonsai exhibits. The stones are on loan from the Jim & Alice Kikue Greaves Collection, American Viewing Stone Resource Center at The Huntington Library, Art Collection, and Botanical Gardens. 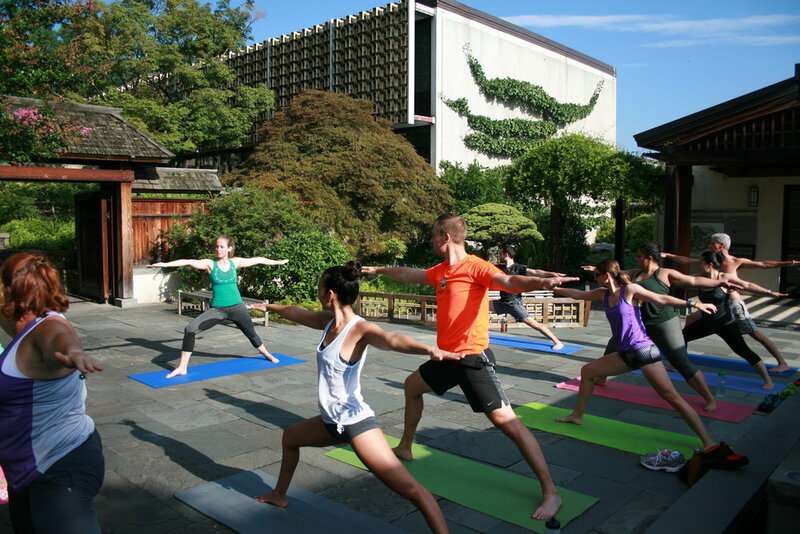 Join us for a series of early morning, one-hour yoga classes among the nation’s most beloved bonsai collection. Unwind with an all-level yoga class with certified instructor and artist, Kate MacDonnell. Kate’s class will focus on calming the mind and strengthening awareness through various yoga postures, meditation and philosophy. After class, participants will have time to appreciate and learn about the bonsai and penjing on display at the museum. World-renowned photographer Stephen Voss will lead a series of photography classes through the seasons. The two-hour class will guide students to look deeply at the bonsai trees in the National Bonsai & Penjing Museum, and create their own portfolio of images that express what they see. Through targeted visual exercises and individual instruction, each participant will learn to reappraise the trees, and in turn, sharpen their visual acuity to make better photographs in any situation. By the end of the class, each student will come away with a unique set of images and some new skills to use the next time they pick up a camera. Students may register for full series or individual classes.